The Waitsfield Development Review Board was established in 2007 by a resolution that transferred the development review functions of both the Planning Commission and the former Zoning Board of Adjustment to the new DRB. The DRB’s responsibilities are laid out in both the Vermont State Statutes, the Waitsfield Zoning Bylaws, and the Waitsfield Subdivision Regulations. The DRB performs an important and difficult job, which is carried out by volunteers appointed by the Selectboard. It is through this review of individual applications that the community’s vision, goals, policies, and priorities–as expressed in the Waitsfield Town Plan and codified in our development regulations–are implemented. At the same time, DRB members and others participating in the process must respect due process, the rights of applicants, and the rights of the public to participate. (12) Any other reviews required by the bylaws. DRB members are appointed for three-year terms, including the Alternate positions. The initial terms were staggered so that no more than three positions will expire at any one time. The role of the Alternate is to help ensure a quorum can be maintained by participating in the review of matters when a quorum can not be maintained, such as due the absence or refusal of four or more members. Alternates who sit on the review of a matter are expected to remain involved through its conclusion. The DRB meets on the 2nd and 4th Tuesdays of each month, 7:00 PM, at the Waitsfield Town Office. 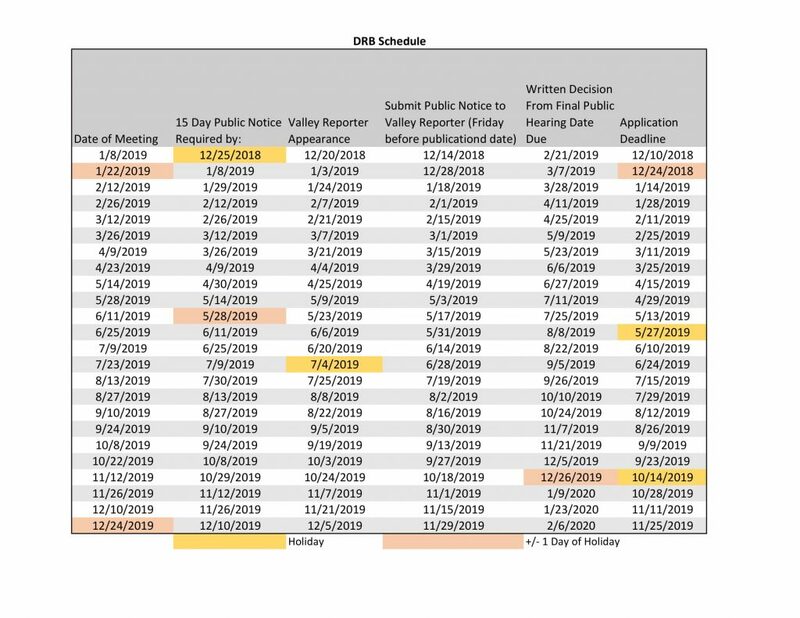 Members are urged to let staff know as early as possible if they will be unable to attend a scheduled meeting so arrangements can be made to ensure a quorum.